The private debt market is taking off as an asset class for big internationally orientated pension funds. According to bfinance, the global mandate search specialist and advisor, more than 40 private debt searches have been undertaken in the past two years, two of which were for Australian super funds. Niels Bodenheim, a London-based senior director of private markets at bfinance, was in Australia last week for a Centre for Investor Education conference in Melbourne. He said while here that there was increasing activity in the private markets field in general and in private debt in particular. “All of those 40-odd searches were different,” he says. “We don’t provide a buy list, as some consulting firms do… We work across geographies and each search is bespoke.” Most of bfinance’s client funds retain traditional asset consultants as well, the two services being seen as complementary. The two main challenges for bfinance and its clients in the space have to do with benchmarking and due diligence on the managers. Bodenheim says that there are a “huge range of options” among private debt strategies, with differing types of debt, different returns profiles and geographical exposure. His firm looks to the public markets for its benchmarking, such as the syndicated loan market for default probabilities. It also has about 18 years of its own data to use for comparative purposes. With respect to doing due diligence on managers, he says that the private debt market had “selective” disclosure among the strategies on offer and it was difficult to develop a standard of comparison between them. For the consulting and search firm, the work in the private debt market tends to be more labour intensive. It also requires more qualitative judgment than the listed asset classes. But bfinance, which has a unique business model whereby the clients are not charged for the search, does not deviate from its standard remuneration for the private markets. It still charges the managers only on the average of their base fees, and not their performance fees. 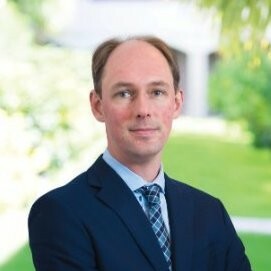 According to Frithjof (Fridge) van Zyp, the Australian chief for bfinance, the firm calculates its fees across all asset classes based on the median for management fees in the particular universe under consideration. “It’s agreed with the client and potential managers beforehand and is very transparent,” he says. The three main categories for private debt are: direct lending for corporates; real estate debt, and; infrastructure debt. Each has different risk/return profiles, appealing to different clients or different parts of client portfolios. In a recent paper bfinance points out that the amount of “dry powder” held by fund managers is at an all-time high. But investors should look beyond the headline figures, Bodenheim says. The private debt market is around one-tenth the size of the private equity market, which also has a lot more “dry powder” at the moment. Investors should be looking at that segment of the private markets if they are concerned about too much money chasing too few assets, rather than private debt. In the private debt sector, there are nuances and mini-trends, such as an increasing concern for ESG issues. A recent case study by bfinance shows how ESG considerations can be included in a specific search. The firm got down to 10 potential managers in a search, but each had shortcomings. The winning candidate, as it turned out, was not rated by any of the major asset consultants in Europe. Bodenheim says that there appears to be an increasing amount of interest in the “real assets” part of private debt – real estate and infrastructure. “This trend creates opportunities for investors and asset managers alike,” he says.